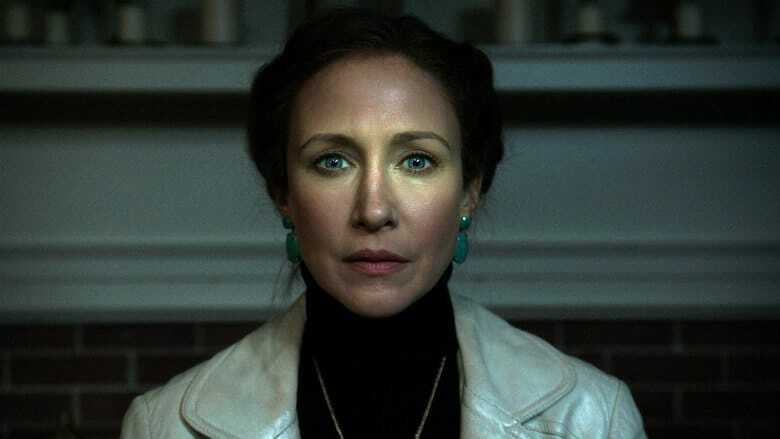 The Conjuring 3 Production To Start Next Year | Nerd Much? Even though it earned mediocre reviews, The Nun had a very impressive showing at the box office this weekend. On a budget of $22 million, the horror flick raked in over $133 million during its opening weekend. Not too shabby. So it comes as no surprise that The Conjuring Universe will continue on, with confirmation from the series’ producer that The Conjuring 3 should enter production next year. While that’s not concrete information, there really hasn’t been much of a timetable announced for The Conjuring 3. So knowing that Safran and Wan intend to have it shot next year gives us a rough idea of when to hope to see it. David Lindsay Johnson helped develop the script for The Conjuring 2 with Chad Hayes, Carey W. Hayes and James Wan. Wan directed the sequel but there’s been no word as to whether he’ll return for the third installment. There are numerous films on The Conjuring Universe slate that have likely been reaffirmed following The Nun’s incredible success. Anabelle 3 is scheduled to release on July 3, 2019. The Nun writer Gary Dauberman wrote that as well, and he’ll be directing Anabelle 3 as well. Following Anabelle 3 should be The Conjuring 3, likely in 2020. After that a new spin-off is slated to join the Universe. The Crooked man is in its infancy but is said to be written by Mike Van Waes and James Wan.